Mitchell has 34 years of international aerospace experience with extensive industry involvement. 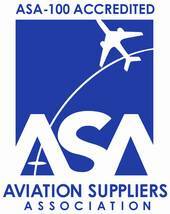 Mitchell has served 16 years as an elected Board Member of the Aviation Suppliers Association (ASA). Mitchell has provided key leadership and guidance in working with airlines, leasing organizations, maintenance organizations, manufacturers, and regulatory and government agencies. He has been a conference speaker and workshop presenter on a variety of topics including quality assurance and best business practices.